With an extension of over 4,000 square kilometers, the national park of Taman Negara straddles three Malaysian states, and is home to many species of endangered animals, such as the Malayan tiger, the crab-eating macaque and the Asian elephant. The area is so vast, however, that it’s rare to catch the sight of any of the big animals. But this should not discourage anyone from visiting the park, as many other surprises await. Bird watching, excursions through the dense jungles of the park, and the night walks, where the lack of light brings out buzzing insects, are particularly thrilling. The rainforest can also be viewed from above the treetops while trekking down the 530-meter-long suspended Canopy Walkway. 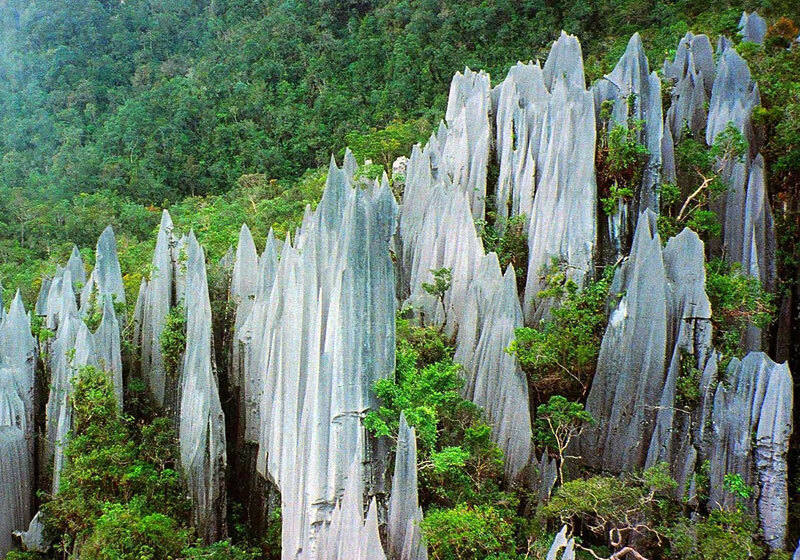 Short Description: Taman Negara is a vast national park in Malaysia on the Malay peninsula. It encompasses a sprawling tropical rainforest that's said to be 130 million years old. Kuala Tahan, the main entry point, is a base for the nearby canopy walkway, river trips and treks through the jungle to the top of Mt. Tahan. The park is home to tigers, macaques and birdlife, as well as the enormous flowers of the rafflesia plant.